A dedicated mother of two children, graduated with a BSc. degree in Risk Management & International Economics from the University of South Africa before embarking on a career in banking and telecoms. But since becoming The First Lady of The Republic of South Africa in 2009, she has worked tirelessly for outreach programs focused on health issues, especially for women, the elderly and children. Madam Zuma has been recognized worldwide for her work, receiving an Award for Global Leadership in Cancer, Non-Communicable Diseases & Women’s Health from the American Cancer Society in 2011; honored in Maputo for her commitment to advancing Women’s Health issues in Africa in 2013; and honored in 2014 by UNAIDS for her efforts in integrating Communicable and Non Communicable diseases. She was a recipient of an Honorary Lifetime Achievement Award in Health and Social Development in 2015 and nominated in the Community Award Category for the Annual Winnie Mandela Global Award. Dr Tabane is a medical oncologist with special interest in breast cancer and HIV associated cancers, having graduated with an MB.ChB (Medunsa) with distinctions in Obstetrics, Gynaecology and Family Medicine. She interned at Kalafong Hospital, has worked in community service at Voortrekker Hospital and has completed courses in Advanced Trauma Life Support (ATLS), Advanced Cardiac Life Support (ACLS), Advanced Paediatric Life Support (APLS), and is a qualified Aviation Health Care Provider. 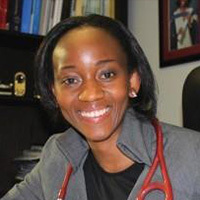 Dr. Tabane has also attained Fellowship at the College of Physicians of South Africa FCP (SA), certification in Medical Oncology, College of Medicine of South Africa and is currently employed as a Medical Oncologist at Sandton Oncology. Centre, in Johannesburg. Ms. Rensburg is regarded as one of the most prominent corporate senior executives working in South Africa today. Her work with the Foundation, however, is driven solely by a passion to save lives, especially South Africans who are dying premature deaths from cancer and other non-communicable diseases. She herself has experienced family tragedy with both a mother and sister suffering from cervical cancer, simultaneously. Her sister lost the battle, but her mom survived. She needed a platform to advocate, educate, and ensure that there is more access to screening and treatment, as well as palliative care for patients living with cancer. She firmly believes that cancer is not death sentence but that early detection can save lives. Ms. Maponya is CEO of the Maponya Group - a diversified family-owned business with interests in Outdoor Media, Medical Equipment and Consumables, Energy and Retail. 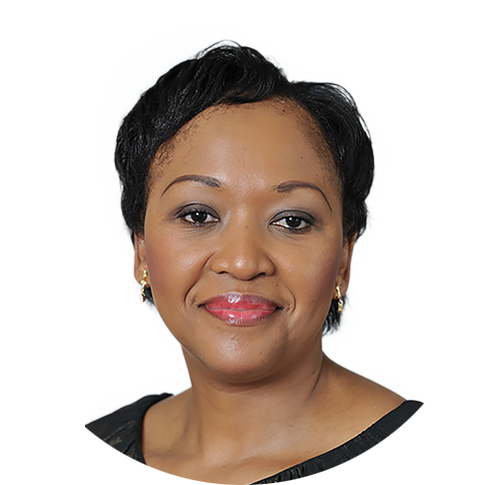 She also serves on a number of Boards including: South African Tourism; the African Entrepreneurs Council (Chairperson); Vice President of World Investment and Trade Organization (WITO); the Consumer Goods Council of South Africa (CGCSA), and is Deputy Chair of South African Council on International Relations (SACOIR) Council, plus board positions with several foundations and charitable trusts. 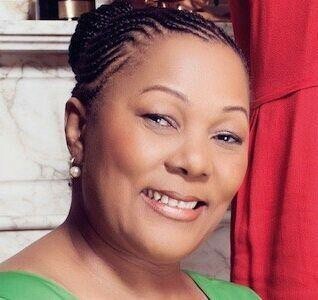 She was also the former Chairperson of Brand South Africa – an agency tasked with developing and implementing a proactive marketing and communication strategy to promote the South Africa brand internationally. Her experience and business acumen will be an enormous asset to the Foundation as it strives to meet its goals and implement its initiatives. 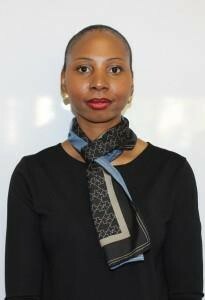 Advocate Pingla holds an LLB from the University of Natal and a B.A in Law from University Of Durban Westville. She was admitted as an Advocate in South Africa in 1980 and as an Advocate in Lesotho in July 1999. Her distinguished legal career has included stints as prosecutor for the Department of Justice in Scottburgh, Johannesburg and the High Court in Durban from 1983 to 1988; and for the office of the Director of Public Prosecutions in the Kingdom of Lesotho. Advocate Pingla has also been Acting Judge in the High Courts of Durban, Pietermaritzburg, Port Elizabeth and Grahamstown. In July 2002, she was called to the Bar at Grays Inn in the United Kingdom. Advocate Pingla was also Chairperson of the Taxi Tribunal, appointed by the Minister of Transport in KZN; Commissioner in the Marikana Commission of Inquiry from August 2012 to March 2015 and Oral Examiner in Criminal Procedure in KZN, for the National Bar Examinations. Most notably, she was the first black person to prosecute on behalf of the State in the High Court of South Africa and was also the first black woman to take silk in KZN. She remains the most senior woman at the Bar in KZN. Mrs. Zhu holds a BSc. in Civil Engineering from Shanghai University in China. After graduation in 1994, she followed her parents to South Africa and is now one of South Africa’s most prominent business executives, with interests primarily in the local renewable energy market. 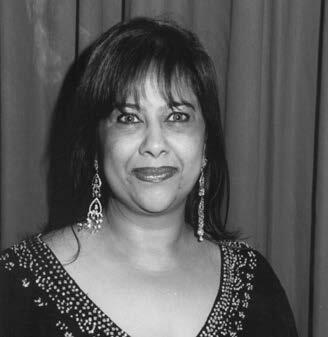 Her business successes have created thousands of employment opportunities and enriched the skills of the local workforce, with transfer programmes from international suppliers. She also supports local SMEs, especially women-owned small businesses. 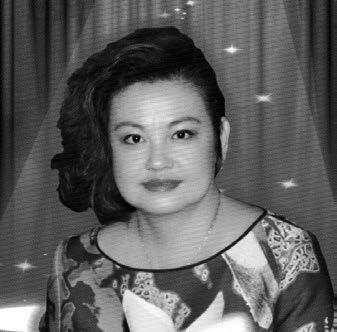 Mrs Zhu is an influential figure in South Africa’s Chinese community as well as the Chinese communities across Africa. She has held prominent positions within Chinese community associations including: chairperson (4th and 5th) of All Africa Chinese Woman’s Association; Vice Chairlady of All Africa Association for Peaceful Re-unification of China; and Executive Deputy Chairlady of South Africa Chinese Community and Police Co-operation Centre. She is a Platinum member of ANC Progressive Business Forum and also sits on the Advisory Council for Johannesburg Economic Transformation. The Foundation will benefit significantly from Mrs. Zhu’s knowledge of a range of sciences and their applications, the ability to work within a multidisciplinary team of scientists and engineers, coupled with superb organizational skills.